WATERTOWN, S.D. 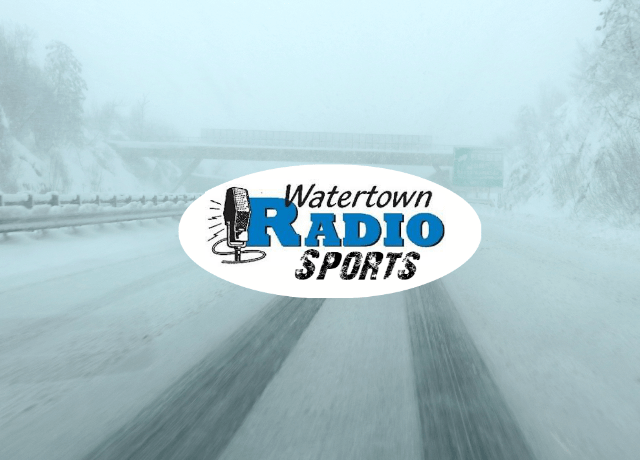 (GoWatertown.net) — The latest blizzard has postponed many area athletic events. These are the latest that we’re given to Watertown Radio Sports. -Watertown wrestling triangular scheduled for Thursday with Mitchell & Brandon, has been moved to Brandon Valley on Friday, February 8th, with weigh-ins at 3:00 and a 4:00 start. -Clark/Willow Lake vs Aberdeen Roncalli doubleheader basketball has been postponed. Girls game will be held February 15th at 6:15pm before the boys game that night. Boys game will be made up February 18th at 4:30pm. -Milbank vs Britton/Hecla girls basketball for Thursday night has been cancelled cancelled. – Milbank wrestling dual between Milbank Area and Sisseton has been cancelled. – Milbank at Morris, MN girls basketball game February 12th has been cancelled. See the latest postponements, cancellations & announcements by clicking HERE. Submit your event by clicking HERE.